Condition: Good imprint and paper, folding copy as published, early hand colouring. Charles François Delamarche a successor to the Robert de Vaugondy family, eventually passed control of his firm to his son Felix Delamarche (18th C. - 1st half 19th C.) and geographer Charles Dien (1809-1870). 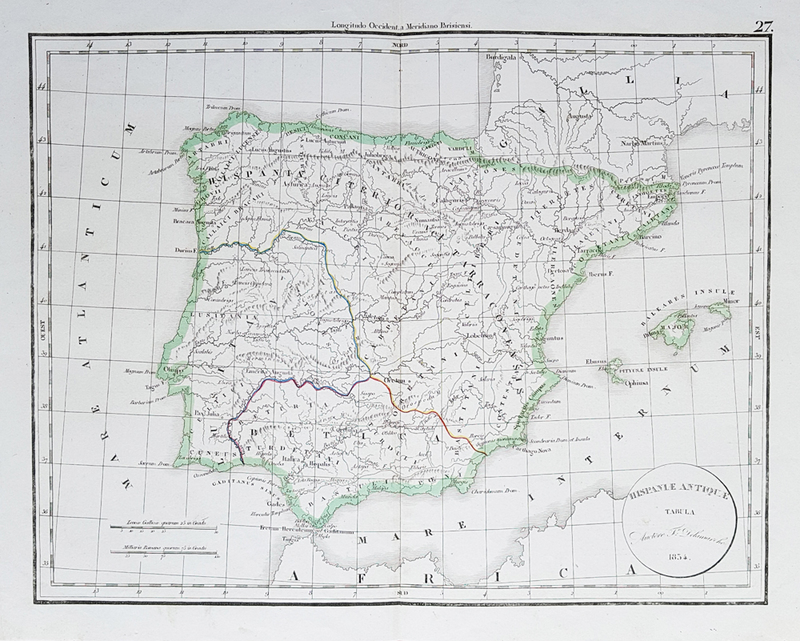 The firm continued to publish maps and globes throughout the mid 19th century.